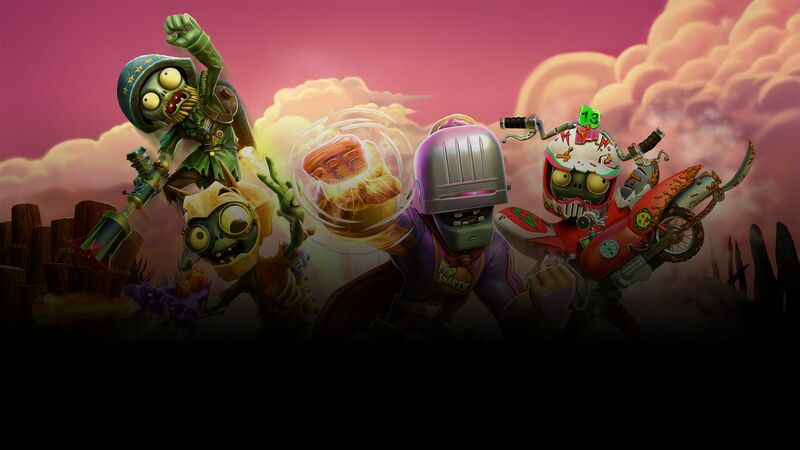 It’s a game that consistently sees players flocking, as the battle between the weedy plants and terrifying zombies continues at a ferocious pace. Today those players fully entwined in the whole Garden Warfare 2 fight can however get a little upgrade! Available for Plants vs Zombies Garden Warfare 2 players to check out are two new content packs, both of which will upgrade your forces like never before. The Super Fertilizer Upgrade for the Plants team brings 4 new characters to the fight, new abilities, and enough plant themed customisation sets to ensure that no matter whether you are heading into the fight as a Sunflower, or prefer the power of the Peashooter, you will be suitably rewarded. The No-Brainerz Upgrade meanwhile does pretty much the same thing but for the zombie team. Bringing Breakfast Brainz, the Paleontologist and a couple more characters, this upgrade pack once more delivers suitably scary customisation sets and abilities for those preferring to harness the power of the Zombies. Each pack will set you back a fairly hefty price though, and we’re reasonably confident that the £11.99 price tag of each won’t be low enough to tempt any casual players. Those who delve into the world of Plants vs Zombies Garden Warfare 2 on a regular basis though will no doubt find a bit of appeal – especially should they also have an EA Access subscription and the chance to take 10% off the usual price. Get yourself over to the Xbox Store right now if you want to pick them up. And if you need to know more about Plants vs Zombies Garden Warfare 2 itself, then our full review will sort you out. Charge into battle, cobs blazing, with the Super Fertilizer Upgrade! Ensure glorious plant victories and vanquishes with: · Four Characters: o Toxic Citron o BBQ Corn o Plasma Pea o Vampire Sunflower · Four Abilities: o Citron’s Mood Shield o Peashooter’s Sombrero Bean Bomb o Corn’s Multi-Shuck o Sunflower’s Dark Flower · Four Customization Sets: o Fast Food Set – Citron o Samurai Set – Peashooter o Bandit Set – Kernel Corn o Bath Time Set – Sunflower · Four Emotes: o Peel Shaker – Citron o Slice n’ Dice – Peashooter o Cobs Blazing – Kernel Corn o Sun Flip – Sunflower · 200 Stars · 50 Rainbow Stars · Super Fertilizer: Attack Pack · Super Fertilizer: Defender Pack 1 · Super Fertilizer: Defender Pack 2 Note: If you already own a character, ability, customization set or emote listed above, you’ll receive coins. Prepare to confront pesky plants with the No-Brainerz Upgrade, including: · Four Characters: o Breakfast Brainz o General Supremo o Paleontologist o Moto-X Star · Four Abilities: o Super Brainz’ Super Guided Ultra Ball o Scientist’s Mega Heal Bomb o Soldier’s Rocket Leap o All-Star’s Ultra Tackle · Four Customization Sets: o Retro Space Set – Super Brainz o Davinci Disguise Set – Scientist o Stinky the Clown Set – Foot Soldier o Bone Head Set – All-Star · Four Emotes: o Flex of Fortitude – Super Brainz o Orbit Flip – Scientist o Super Strum – Foot Soldier o Poser – All-Star · 200 Stars · 50 Rainbow Stars · No-Brainerz: Attack Pack · No-Brainerz: Defender Pack 1 · No-Brainerz: Defender Pack 2 Note: If you already own a character, ability, customization set or emote listed above, you’ll receive coins.